The shipping industry remains committed to ambitious CO2 emission reduction across the entire world merchant fleet, reducing CO2 per tonne-km by at least 50% before 2050 compared to 2007. 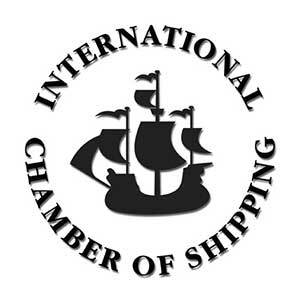 Despite the absence of an explicit reference to shipping, ICS says that the message from the world’s governments is clear. “I am sure IMO Member States will now proceed with new momentum to help the industry deliver ever greater CO2 reductions, as the world moves towards total decarbonisation by the end of the Century,” said ICS Secretary General, Peter Hinchliffe. More immediately, ICS will engage meaningfully in discussions at IMO – expected to begin in earnest at a critical meeting in April 2016 – about the possibility of agreeing a CO2 reduction target for shipping. ICS is also pushing for IMO to finalise a global CO2 data collection system for ships, which ICS would like to see mandatory as soon as possible, prior to IMO deciding on the necessity of additional actions such as a developing a Market Based Measure. ICS asserts that dramatic CO2 reductions from shipping will only be guaranteed if further regulation continues to be led by IMO. Encouragingly, as a result of the Paris Agreement, developing nations such as China and India have now accepted responsibility to curb their emissions alongside developed economies. However, the Paris Agreement still retains the principle of ‘differentiation’ whereby different Parties can offer different levels of commitment to reduce CO2. ICS says that the complexity and scale of the Paris Agreement means that many of those involved may be disappointed by certain aspects, including the absence of explicit text referring to international shipping. At the start of the negotiation, ICS had hoped there might have been an acknowledgment of the importance of IMO continuing to develop further CO2 reduction measures, applicable to all internationally trading ships, and implemented and enforced in a uniform and global manner.